You are here: Home / Latest Articles / Guardians / Health / Bow Before the Power of the Onion and Despair! The onion. We all know it. Probably the most common vegetable for cooking, from raw slices on our hamburgers to the powder we season the meat with. It also seems to fall into the category of either loved unconditionally or loathed completely. I was of the latter mind set. I did not like to prepare them because they made my eyes sting and water. I never ate them raw because they were “hot”, and if cooked in a dish they had to be practically invisible. I never fell for the “sweet” variety either, that was a conspiracy set up by mothers and the food industry to trick small children! Then the day came when I received an email forward from a well respected 86 year old lady who happened to agree with it’s contents. The story was from an influenza epidemic back in the 1800’s and how the doctor calling on all of these farms found them all stricken to one degree or another. He stops at one farm and not one illness or death has occurred and he can’t figure out how this family has avoided the outbreak. The only thing he observes is that the wife/mother has put a sliced onion in every room of the home and believes this to be the answer. Now I am not one to believe all the cure-all forwards or advertisements I read but I intuited something about this one. It made me think of my own grandmother and how she treated me from skinned knees to terrible flu without opening a branded bottle of medicine. She made her own cough syrup which I never was sure if it truly worked or I was just afraid to cough after taking a spoonful in case she made me take another dose of the vile stuff! Well I opened my mind to the possibility and asked on the OR forum for any input on this onion preventative/cure. Hyndla OR came back with an exuberant statement and a suggestion on a book, 10 Essential Herbs by Lalitha Thomas. “Okay, I will set my mind over my taste buds and give this loathsome bulb a try,” I thought, and purchased the book. When it arrived in the mail I took it to work and started reading and taking notes. I’m old and old people don’t like change! Well at least I have trouble with it so just reading on this was a step! Winter arrives and with it flu season. I work in a juvenile treatment center and every day at least one more kid was being put onto the quarantine dorm. Co-workers were baring the brunt of this flu cycle, too. I, on the other hand, had taken the step of sleeping with a halved onion next to my bed and changing it out every few days. I never had a sniffle during the 4-6 weeks it took to run its course. Okay, maybe there is something to at least respect of the onion! This step was painless so I thought to try another use. Besides, maybe I was immune to this virus. It’s going to take more to convince me! My next application was an onion poultice for joint pain. I had tore my knee up way back in high school. I finally had orthoscopic surgery on it in 2001 to try and alleviate the frequent pain. After the surgery the pain, on a scale of one to ten, was consistently a 5 and on bad days right up to a 10. I could not walk any distances what less up or down inclines. Of course I could take anti-inflammatory and pain medications until the insurance company deems me worthy of knee replacement but I chose to suffer along. Yeah, an onion poultice is really going to make this pain go away, sure! I had my son, Arinbjorn OR make up the mixture because, 1.) he is the house chef and 2.) onions make me cry! I slathered this on my knee where the pain was and covered it. I left it on for a few hours before I had to leave for work. The next day I notice that that part of my knee didn’t hurt but that the pain had moved to the other side. Again, Arinbjorn OR made up the goop and I repeated the couple of hours and off to work routine. I wake up that day and no pain…interesting. Did the poultice again and slept over night with it and I went 4 days with NO pain! The time after that I made it through a week and a half! Is this really happening?!?! The weather had changed and spring was here so we decided to start walking daily as long as I could tolerate it. We walked every day between 1½ – 2 miles and I used my pal, the onion poultice, at further and further intervals. I was amazed!! I was telling strangers on the street about this wonderful little orb practically!! I know my co-workers got tired of hearing about it! With the change in the weather I quit using the onion by my bed and within 2 weeks was sick with a terrible spring cold. It hit me so hard with fever, cough and stuffiness that I called off work for the first time in 15 years. The mighty onion came to my rescue! My son cooked up the most awful cough syrup!! It didn’t taste as bad as Grandma’s but the consistency of it was gooey sludge! I forced it down a couple of times that day and slept through the night and felt renewed by the next morning. The symptoms lasted about 4 days instead of what I’m sure could have been 2+ weeks like my co-workers, who also came down with the bug and refused to share in my slime! Now the BIG test was on!! I have been using Prilosec since it was a prescription drug and read on line what is happening with long term use. Oh, great! I can’t eat anything that doesn’t cause me heartburn and without the medicine I surely wont sleep due to the acid reflux. I kindly say, “No, thank you,” to almost all medicines doctors want me on but I NEED this one! I sceptically read the index of “The Book”. Yep, that new found friend the onion is listed under heartburn! Wait a minute, loads of people have told me if they eat onions they suffer heartburn, so how can the cause be the cure?? Onion water to the rescue!! One cut up white or yellow onion in a quart of water. I drink 4 ounces after dinner (it’s supposed to be 2 cups a day in ½ cup doses but I forget!) and I may get heartburn later at work but it lasts only about 30 minutes and I have no acid reflux at all. On the days I forget to drink any, I suffer but have refused to buy any more medicine now for about 4 months. I still don’t like the taste of the water but I can now drink it down quicker and with a lot less whining!! So as the title says – I bowed to the power of the onion and despaired – but only for a little while!! 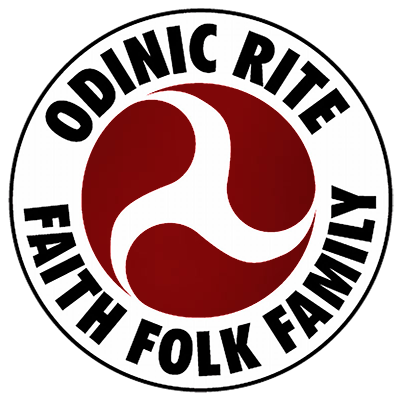 https://i2.wp.com/odinic-rite.org/main/wp-content/uploads/onion-1-1258537-1279x731.jpg?fit=1279%2C731&ssl=1 731 1279 Hengest http://odinic-rite.org/main/wp-content/uploads/2016/05/or-badge400-transp.png Hengest2012-08-23 23:28:512019-02-19 06:04:28Bow Before the Power of the Onion and Despair! Like you, I tend to be a skeptic. Thankfully, I don’t seem to have many problems that would require an onion BUT — perhaps the fact I grow and eat a bunch of them is the reason why! LOL This is a great article! Thanks to you! FFF!